Fuengirola has been one of the most popular holiday resorts on the Costa del Sol for years. Here is our guide to this superb seaside Spanish town. Fuengirola dates back to the 2nd Century B.C. Roman remains including Roman baths and a sculpture called the ‘Venus of Fuengirola’ have been discovered. Roman pillars that were unearthed in 1984 during redevelopment of the town can be seen on the Los Boliches promenade on the seafront. 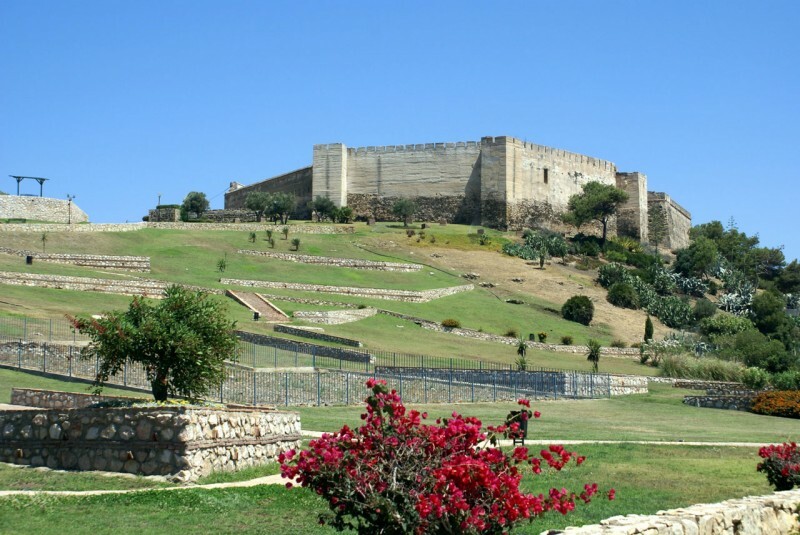 One of the most recognisable landmarks in Fuengirola, Castillo de Sohail (Fuengirola Castle) was built in the 11th Century by Moors and then destroyed by Christians in 1487 before being taken over by the French in the early 19th Century and then returning into the hands of the Spanish. Quite a history! Today it is one of the most visited attractions on the coast and the castle has even been the venue for pop concerts. With the huge increase in tourism on the Costa del Sol in the 60s Fuengirola became a leading holiday destination for other Europeans looking for a town with great beaches, entertainment and affordable accommodation. The town has undergone continual development and improvements including a lovely seafront promenade and the opening of attractions such as the Biopark Zoo. There are 5 suburbs in Fuengirola; Los Boliches, Torreblanca, Carvajal, El Boquetillo and Los Pacos. The town is also easily reached by public transport with a reliable and affordable bus and train service and stations right in the town centre. Its proximity to Malaga Airport also makes it a popular holiday destination or the perfect place for a weekend break in the sunshine. A great way to explore Fuengirola and the coastline is by bicycle. View our guide to hiring a bike in Fuengirola or Mijas for tips on the best place to get a good deal. There are restaurants and bars galore; why not try our pick of five of the best beachside eateries in Fuengirola. There are also lots restaurants tucked away down the narrow alleyways that lead back from the promenade into the town. The well-known ‘Fish Alley’, Fuengirola’s food quarter, is brimming with places to eat from Chinese Restaurants to steak houses. Moochers Jazz Café is a great place to enjoy a meal and live entertainment and their savoury pancakes are to die for! Casa Roberto located just off Fish Alley on Calle Espana offers a unique dining experience in a grotto-like restaurant absolutely filled with golf memorabilia, there are even golf clubs hanging from the ceiling! The steaks here are fantastic and it’s a great place to dine in winter months as it has a lovely, cosy feel to it. 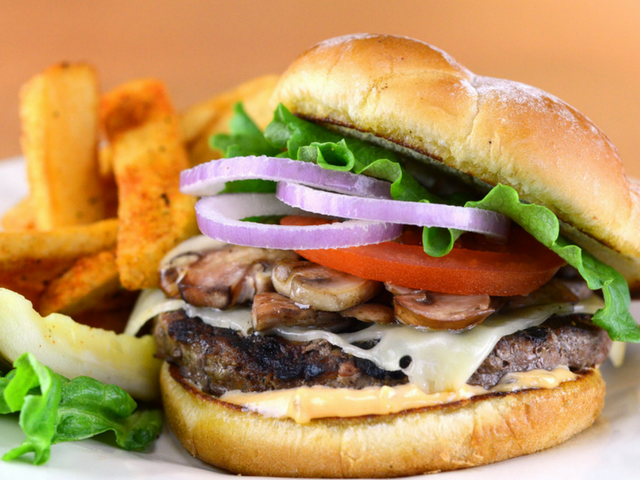 If you are a red meat fiend and can’t last for a week without a juicy burger you will love our guide to the best burger joints on the Costa del Sol. There are lots of little squares tucked away in Fuengirola with orange trees growing and seating where locals hang out. These are worth investigating as they often have great restaurants on them and as they are favoured by locals’ prices can be cheaper. Try Lizarran Tapas Bar on Chinorros Plaza where you can sit outside and sample their tasty tapas dishes. 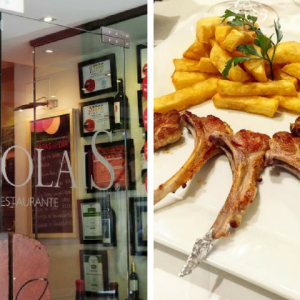 If you are a vegetarian you need not despair as Fuengirola has some great vegetarian restaurants serving delicious meat-free and vegan dishes. We’ve selected our top five vegetarian restaurants in Fuengirola to help you find the best veggie dishes in town. Fuengirola Marina is the place to head to if you want an English breakfast at a very good price. The marina is really just a functional port but it’s a nice place to sit and enjoy breakfast or lunch in one of the restaurants along the front. You’ll find drink prices are also very cheap here. 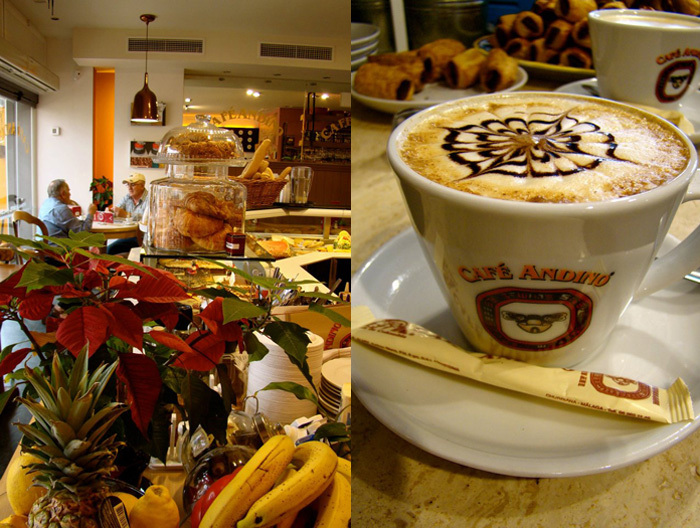 However, if you really want to breakfast like a local you can find many traditional Spanish cafes serving great coffees and typical Spanish breakfast fayre. 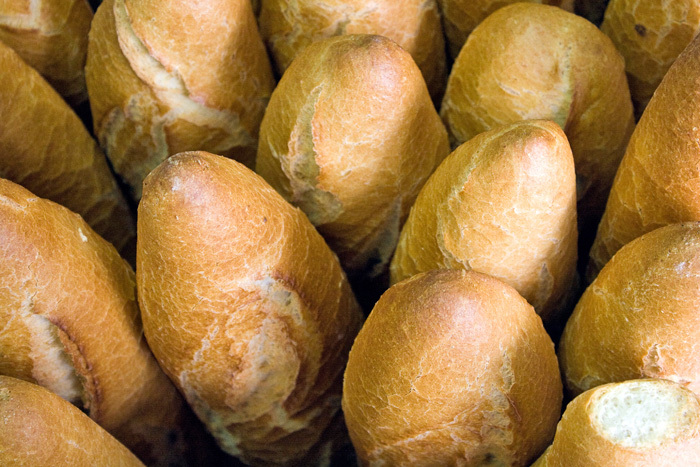 View our guide to having breakfast like a local in Fuengirola. Fuengirola has lots of shops. If you like shoes you’ll be in heaven as there seems to be a huge shoe shop on every street! There are high street stores like Mango and Zara on the Plaza de la Constitucion in the heart of Fuengirola and also smaller, independent stores selling everything from leather goods to home wares. Along the seafront you’ll find the usual shops selling inflatables and buckets and spades for the beach. Just out of town off the main A7 road you’ll find the Miramar Shopping Mall that has lots of clothing stores, a cinema and dining hall. If you want to shop locally and support small businesses our guide to shopping locally in Fuengirola gives you all the best places to get delicious fresh produce and grocery essentials at great prices. 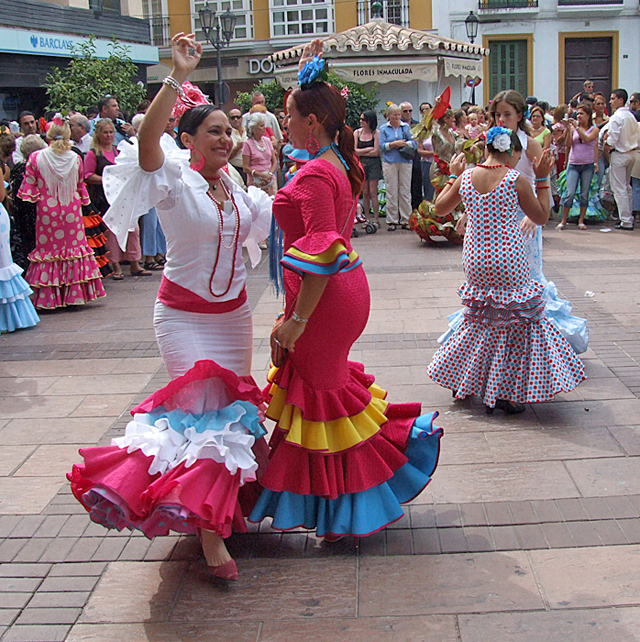 Fuengirola has lots of activities and attractions on offer, whatever your age. 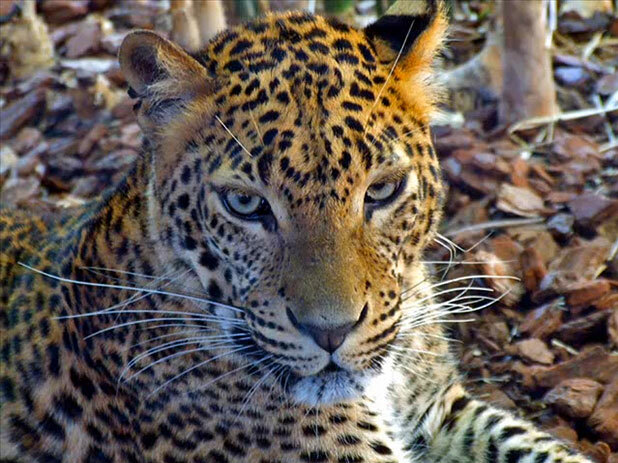 The Biopark Zoo Fuengirola is renowned in Spain for being an ethical zoo where animals live in environments as close to their natural habitat as possible. The Biopark staff pride themselves on their contribution to conservation work. The Biopark is a great day out and in summer you can even go on night visits as the park stays open until midnight, a great opportunity to see species that only come out after dark! There are hundreds of activities for children on the Costa del Sol. The area has lots of great, free play parks for children and there are an abundance of relatively cheap activities for kids to try. Our guide to top days out for toddlers on the Costa del Sol should give you some ideas of how to keep the little ones busy. The beaches in Fuengirola are wide, sandy and clean. Many have the Blue Flag awards and you can always find a sun lounger to relax on for around 4 Euros a day. 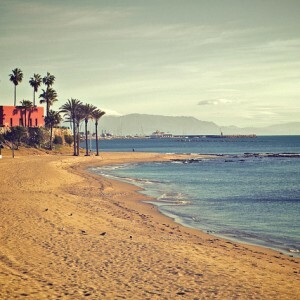 Our guide to Fuengirola’s best beaches should help you find the right spot on the sand for you. 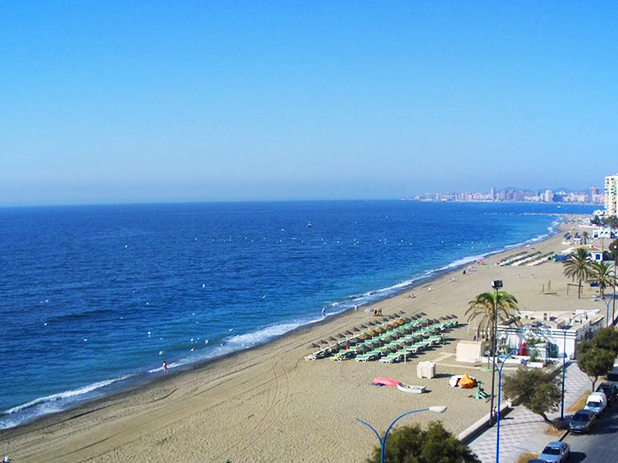 The main beaches in central Fuengirola are Santa Amalia and San Francisco. These are where everything happens in summer from street sellers to sand sculptors and PR people handing out fliers for the latest club events. There are several other beaches along the sandy 5 mile stretch in Fuengirola and you will find something to suit your needs. The beaches in Fuengirola are where most of the activity goes on in the daytime. There are watersports on offer and you can give anything from jet skis to banana boats a try. The 7km promenade along the seafront is great for jogging or walking along and you’ll find a chiringuito (beach bar) every 50 metres or so serving local dishes such as paella, barbecued sardines and whitebait. The food tends to be of a good standard in all of these beachside places and the San Miguel is always chilled! Just a short drive from Fuengirola you will find many great golf courses along the Costa del Sol. There are also tennis clubs, horse riding opportunities, mountain biking and hiking routes into the Mijas Mountains and lots of other outdoor pursuits in the region. 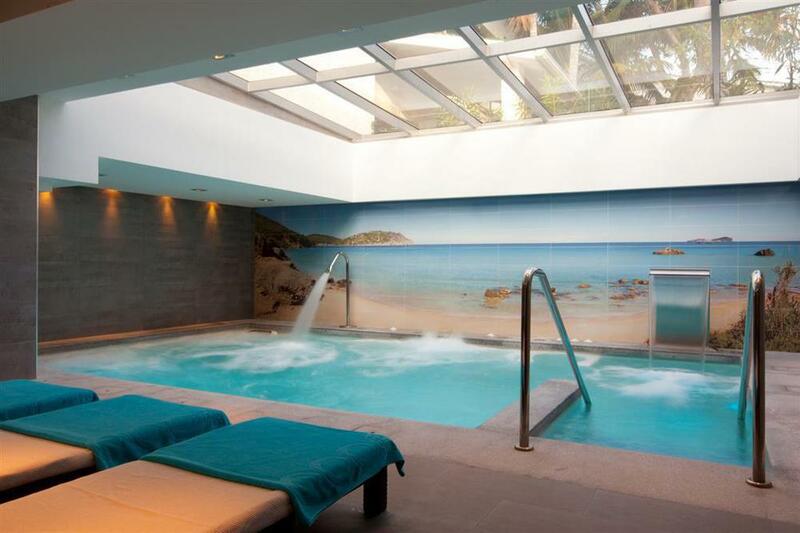 For those of you who like to spend your days a little more sedately, you may want to read our guide to the top 5 spas on the Costa del Sol where you can relax and enjoy an array of treatments. The nightlife in Fuengirola is lively and quite loud but it is not to the same scale that you will find in nearby Marbella. Bars and clubs don’t really get going until about 11pm so you can enjoy a quiet family meal in the town without disruption and leave before things liven up. The crowd tend to be mainly golfing parties and young people out to have a dance and a good time. Old Town Café and The London Pub on the main stretch of bars along the front have plenty of outside seating and room to dance inside. Gin bars are popping up all over the Costa del Sol and Fuengirola has some of the finest places to enjoy a gin and tonic on the coast. If a cold G&T is your idea of heaven, view our pick of the top gin bars on the Costa del Sol. Fuengirola market is a twice-weekly event held on Tuesdays and Saturday mornings on the fairground between Fuengirola and Los Boliches (just follow the promenade along the seafront and you can’t miss it.) It is one of the largest markets in the whole of Spain and it is well worth a visit if you love a bargain. For culture vultures there are plenty of places of historical interest in Fuengirola. The Roman Archeological Park or ‘Finca del Secretario’ can be found in Los Boliches, Fuengirola. Here you can see impressive Roman ruins including a salting factory and thermal baths that were uncovered in 1970 when work began on the railway into the town. The History Museum in Fuengirola has many other artefacts from Roman times and gives visitors a good idea of Fuengirola’s history right back from Roman times to the modern days of tourism. Fuengirola may appear to be just another seaside holiday resort but it is much more than that and the museum portrays this well. In April on the same fairground location the Feria de los Pueblos is held. This is translated as the International Fair and for one week you can visit stands representing 50 countries from all around the world, with different food and drink from these nations and enjoy a brilliant party atmosphere. On 24 June each year it is La Fiesta de San Juan (St. John’s Day) where locals build bonfires along the beach and celebrate St. John on this ‘night of magic.’ It’s now really just an excuse for people to have beach parties and enjoy sitting around bonfires until the early hours but its good fun! On 16 July it is La Fiesta de la Virgen del Carmen in Los Boliches where an image of the Virgen del Carman is out into a boat and is taken to Fuengirola port. Many people wade into the sea to see the virgin off on her journey and once she reaches Fuengirola she is then carried back to the church in Los Boliches. The evening is lit with candles and fireworks and it is a really special experience if you are lucky enough to be in Fuengirola on this day. This entry was posted in Costa del Sol, Fuengirola, Spain and tagged Beaches, Entertainment & Culture, villa holidays on October 30, 2013 by Jess Whittle.